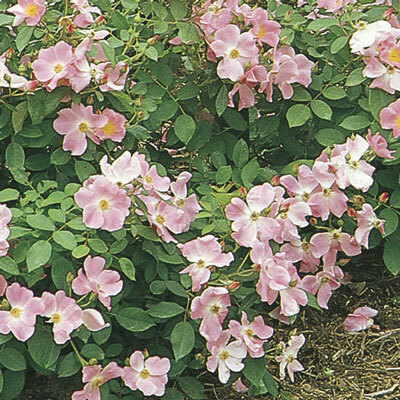 (Floribunda/Shrub) Nearly…nope, you'll go hog wild when you see the spring bloom…because the flowers nearly smother the foliage. This proven cold-weather performer is great when it comes to floriferousness. Mass plantings give the best displays. Give it good air circulation for the maximum performance. Can get black spot when crowded. Best in cold climates.